If you’re thinking of turning your business idea into a reality, be warned. While it may be easier than ever to start a business, it’s harder than ever to keep it alive, says Robert Herjavec, star investor on ABC’s Shark Tank. Why? The competition has never been greater. 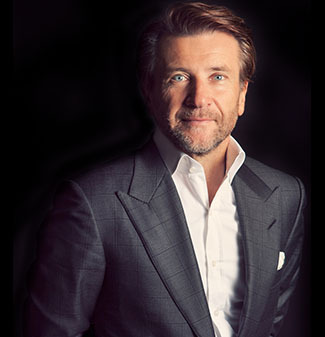 Herjavec, who grew up with little money and worked odd jobs to get by, launched his first company in 1990. Called BRAK Systems, the Internet security software company became an industry leader in Canada and was sold to AT&T in 2000 for a reported $100 million. That same year, he joined a Silicon Valley-based software company called RAMP and helped orchestrate a $225 million deal to sell it to Nokia. Three years later, he started The Herjavec Group, a cybersecurity firm he continues to run today. In honor of National Small Business Week, we asked the Croatian-born entrepreneur for his best advice to anyone starting a business. Check out the video above to learn which skills he finds most important and what he wished he’d known when he was starting out.